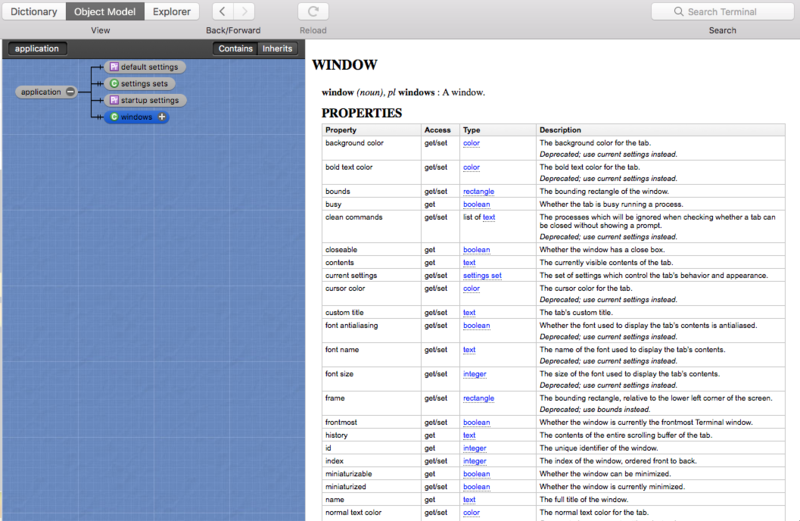 Where can I find documentation and a full list of all the commands that we can use for Terminal in AppleScript? 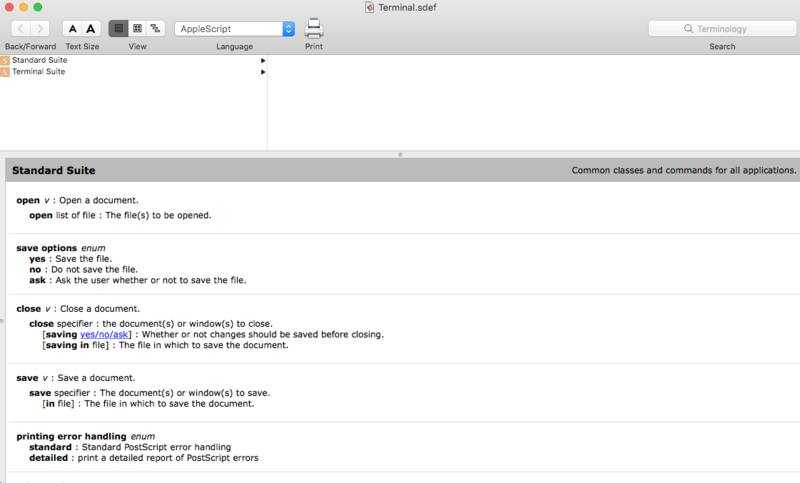 If you wanted to get deeper in AppleScript you could buy the application Script Debugger version 7, but as noted in the comment there is a free version which is Script Debugger Lite if I recall. It appears to have an extensive library and utilizes a tree structure separation that helps filter through what you might want. The referenced image is from Script Debugger 6. Not the answer you're looking for? 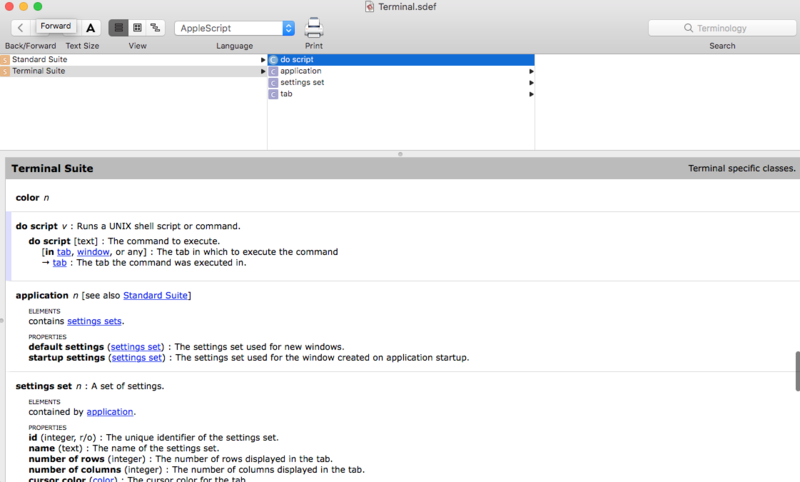 Browse other questions tagged terminal applescript .